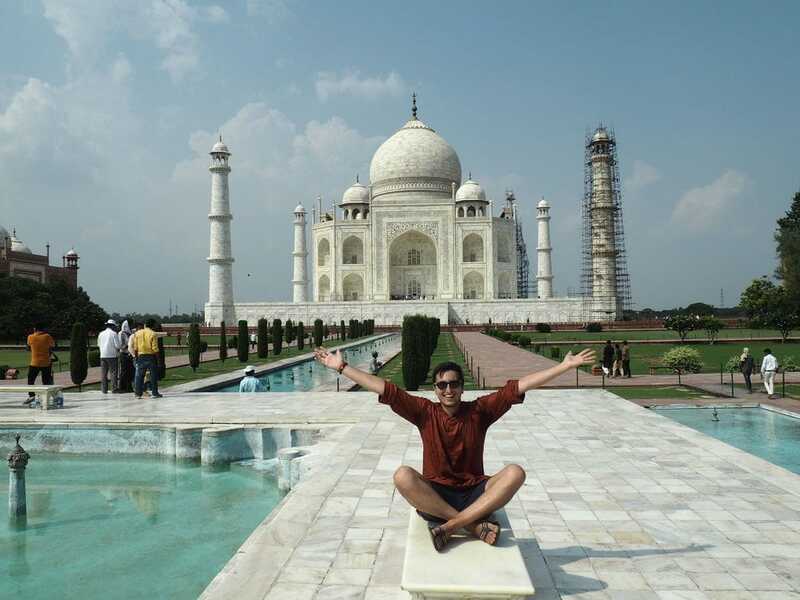 Visit the famous Taj Mahal | T.S.O.H. To be honest when I arrived with the train in Agra, I wasn’t impressed by the city and I was greeted by Tuk-Tuk scams again. After being in the country for almost 2 weeks, I started to know how to haggle the prices down and walked off. Tuk-Tuk drivers would ran after me as always to agree on a better price. I arrived around midday as my train was over 5 hours late - which is normal for Indian train travel. Lucky I slept most of the train ride. Exhausted, I checked into my hostel to explore the Taj Mahal in the afternoon. 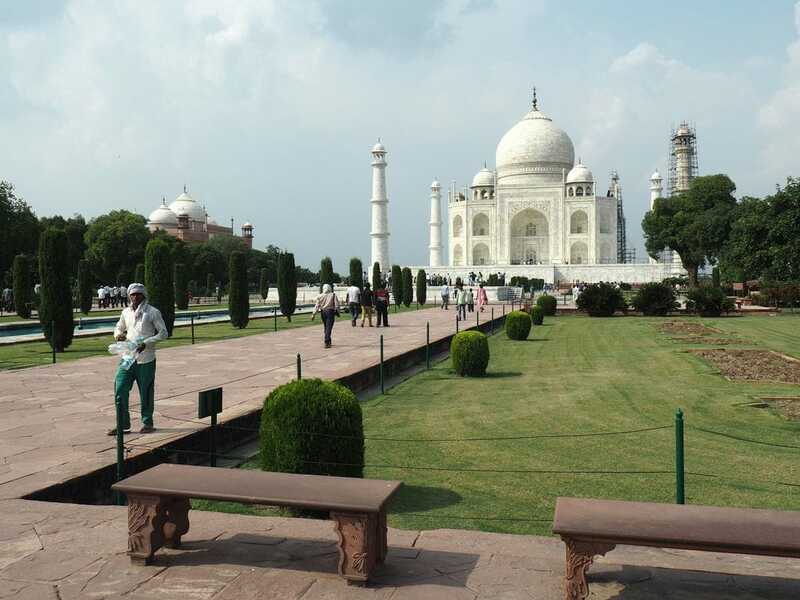 The Taj Mahal is the best-known building in the world and up to 7 million visitors are coming to Agra every year. 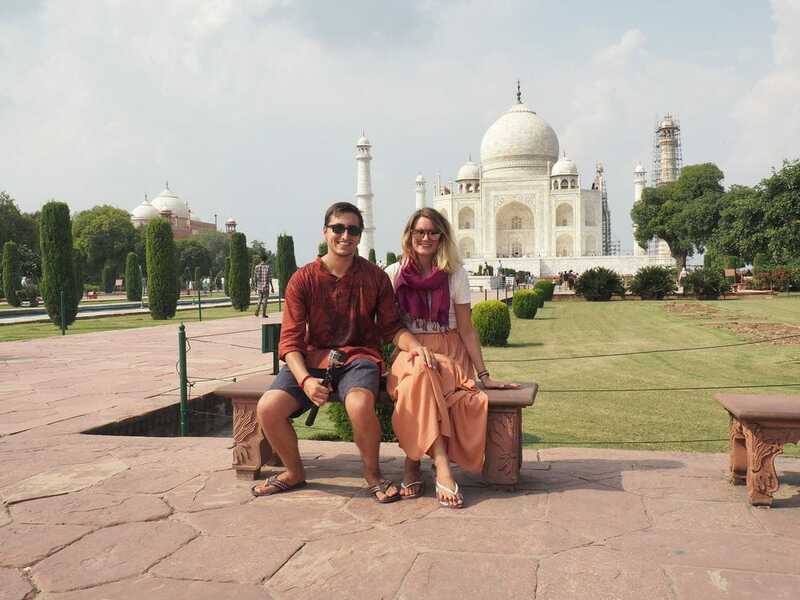 Who would travel all the way to India and not visit the Taj Mahal? Well, not me. Here is what to expect and where to stay. I stayed in a double room at Zostel which is under half-hour walk to the entry of the Taj Mahal. 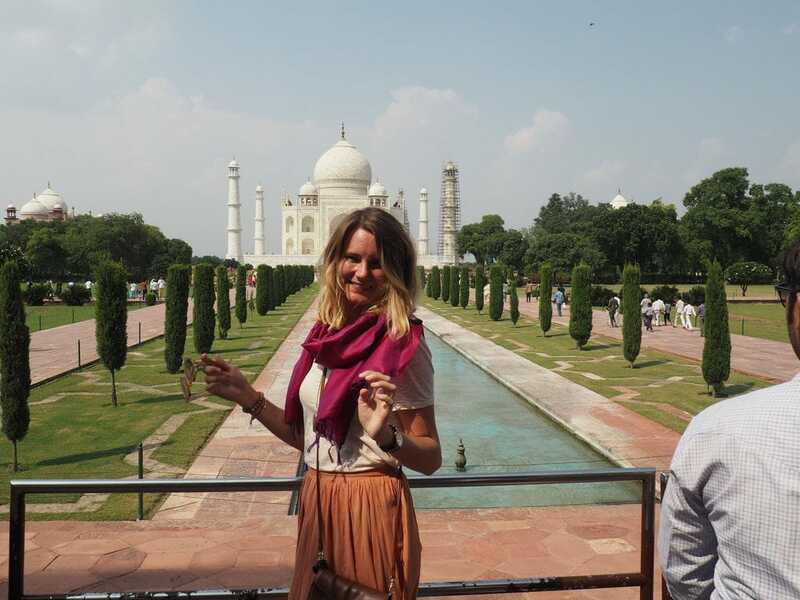 I stayed only one night as I got told Agra wasn’t anything pretty. I can happily say I didn’t needed more time. Zostel itself was clean, the staff was ridiculous friendly and a restaurant was available. I had an amazing butter chicken curry for dinner. Prices were slightly higher than in local street restaurants though. 1. The Taj Mahal comes with an banging ₹1,000 entry. This can be purchased at one of the 4 ticket halls on each side of the Taj Mahal. 2. Full body and bag controls - similar to an airport, just poorer - are made at the entry. I had to walk through it 3 times before I was allowed to enter. Queues can be long if you are arriving for the sunrise. 3. Don’t bring a large backpack as you can’t enter with it. A small purse is allowed though. There are free lockers at the ticket hall as well. 4. One camera and one mobile phone per person can be taken into the gardens. No filming is allowed. No pictures can be taken inside the Taj Mahal. 5. Don’t bring a tripod. As in many religious places in India, tripods aren’t allowed. Shame but you will find someone to take pictures of you. 7. There isn’t a dress code for the Taj Mahal but it is a religious momentum so dress appropriately. I have seen photos of foreigners in short dresses and shorts on Instagram. I personally wore a long skirt and had a scarf on me to cover my head if I had to. Have respect. 8. Take many pictures. Who knows if you ever will return?! Tip: Take your time. I have photo of me with almost no-one in it. The right angle and moment will make it happen. 9. There are many tour guides outside and inside the Taj Mahal. Same for photographers. Make sure they are official government ones. Have you seen Slumdog Milionaer? After all you want some real informations, right?! 10. Most important: ENJOY. The Taj Mahal is a beauty and well deserved to be in the list of the World wonders.